I am considering going with black and chrome wheels in the future, I'm just wondering how difficult is it to keep clean and can you still see the lines of the car ? Thanks! Black is beautiful but it shows EVERYTHING from dust to dirt to SWIRLS. If you are detailing kinda of guy then i say go for it as nothing looks more badass than a blacked out car. If you are like me however, i would advice another color that won't give you nightmares about dust, dirt, pollen, swirl marks, etc. Good luck whichever way you go. Agree with z edge. 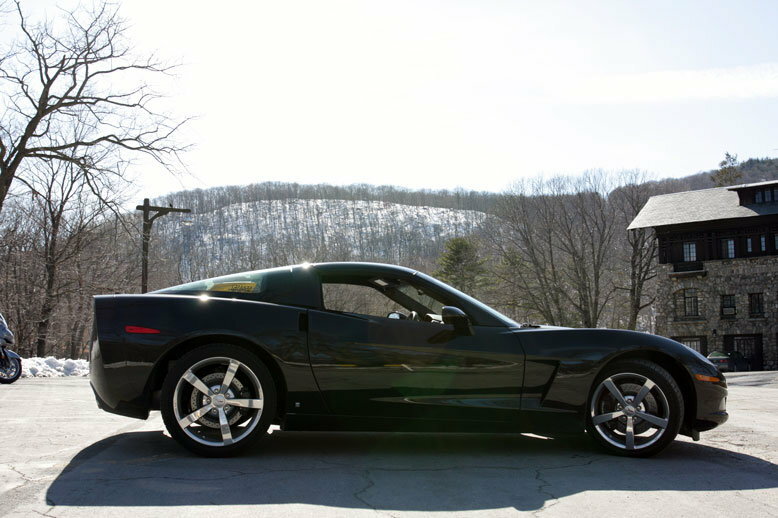 My C6 was black with chrome and looked great but I spent a lot of time keeping it that way. Time well spent in my opinion, but not everyone in my house agrees. Love it as long as I don't own it! To much work, to many imperfections. I have had several black cars, including one now. I think they get a bad rap. If you treat a new car right, you won't have swirl marks. If you keep it clean, it won't be dirty or dusty. If you put a modern coating on it, whether you choose a ceramic or Zaino or some other method, it will be easy to keep pristine. We have a reputation in our (small) city for having an extremely clean car, but the truth is, we wash it once a week. It's not that hard. It doesn't take that long. And a clean black car is absolutely beautiful. And chrome wheels (I'm old) would add some real zest to it. I say go for it. You won't be disappointed. The C7 lines are so defined that they pop with any color. Maintenance is a little work, but when clean there is no better color. Yes, the color shows the style lines. Yes, lots of work to keep clean. Wash and glaze weekly, some say. With winter, depending on your OCD, wash daily. You can easily spend two hours on a weekly cleaning. Black paint is a labor of love and a hobby...your decision to enjoy the extra work. Last edited by Kenny94945; 09-06-2017 at 08:10 PM. I've owned a black Z28 LS1 and currently own a black 4Runner. The trick is to keep on cleaning that puppy--- and avoid driving in the rain/snow if at all possible. Dirt will get everywhere. You don't want to drive it in the rain and let the dirt accumulate in layers onto your paint and wheels. That just makes it harder to get that stuff off. I rinse/wash my baby 5 to 7 days a week. It's part of my morning ritual. You either have a clean black vehicle or you don't. There is no in-between. Had a Black brand new 1999 Mercury Mountaineer in 1999 it was the last Black vehicle I will ever own. VERY VERY VERY HARD TO KEEP CLEAN UP TO MY STANDARDS! Love mine. Car had black wheels and dealer exchanged them for chrome. I've had so many complements, one from self acknowledged Ford guy. If you park outside though, I'd say maybe not. Not easy to keep clean. I have a four or is it five? layer all-weather cover for my ride AFTER she's been cleaned. If she even has a hint of dust on the paint-- she stays uncovered but in a garage. Cleaning her is actually beneficial-- it's a small workout in itself and it also forces me to wake up earlier and not waste the morning sleeping in. It's therapeutic, too. The compliments or looks you get from a 2016 that looks newer than a 2018 is just icing on the cake. 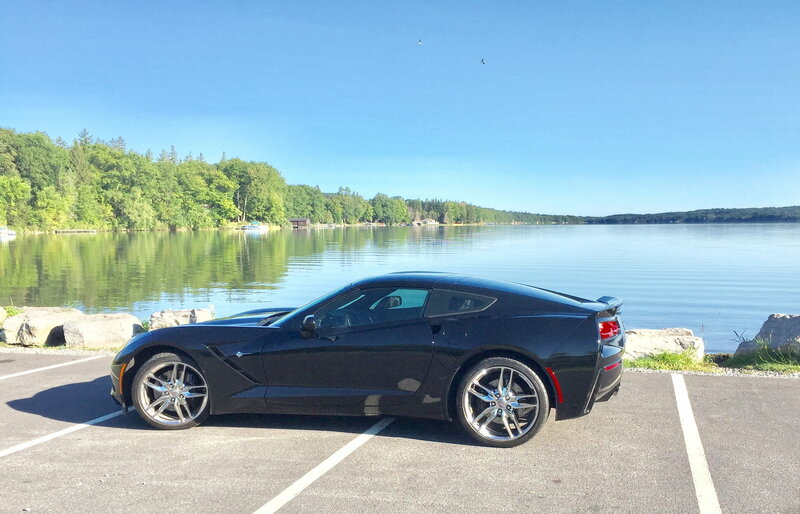 The C7 especially a C7 Z06/Z07 looks wicked in black. It is a PIA to keep clean. Wash it and put it in the garage with the door closed and it is dirty before the sun goes down. Look at it and it gets dirty. The other problem is people drool all over it. Little kids, big kids, everybody. I have people coming out of places all the time taking pictures of mine. Finger prints show up easily, brush against the car with your palm and you will leave a noticeable grease spot. Everything is revealed. But oh, it does draw attention. People act like you just drove up in the latest iteration of the BatMobile. I think the C7 is black is amazing. Yep-- seen a black C7 (black wheels, too) at a traffic light. It is a showstopper. From the front and at a distance, it looks like a Ferrari 458. Incredible design. The rear end looks much, much better in real life, too. Adds a touch of the exotic. Every night before I go to bed I wipe down my Black ZO6 ......every morning before work.... in my work parking garage I wipe down my Black ZO6.....when I leave work to drive home or wherever I wipe down my Black ZO6....might give you an idea of what you might be dealing with to own a Black C7......does not bother me for 1 second....that's just me though....its a pride and respect thing for me! P.S. Black with chrome is so classic!! Really nice!!! Last edited by BrookenookZO6; 09-06-2017 at 08:42 PM. Any year black Vette looks great, I like chrome with black. They do require a little effort. I will never get another black car. ever. EVER. Black & chrome. A detailers dream. I had a black C6, I spent waaaaay too much time cleaning it, and I consider detailing my cars as "fun"... that car beat me. Black is my fav color for someone else to own. Currently own 2 older cars that are black......NEVER again. My last 2 (newer) including the '17 Z51 are White.